Please check in and say hi. Post new topics and lets help each other out. Want to help others? Know of openings? Look or Post here! Copy and past current hoarding events in the news here. Good or bad, lets share the stories out there! Please help others understand this disorder by explaining why you think you suffer from this disorder. It will truly help other sufferers as well as loved ones to understand that this is not about being lazy. There are literally endless reasons why people suffer from this and these posts will help outline the many causes. Thank you! This message board thread is for all of you that know and love a hoarder and want to know how to help them. If you are lacking motivation or just a little discouraged, feel free to post here and we will try to get you moving again. 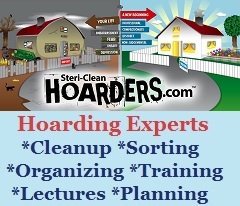 Have questions about cleaning a hoarding home either for yourself or a loved one? Ask your questions here and hoarding cleanup professional Cory Chalmers will answer them. while this topic has ended, you can go back through and challenge yourself by trying some of our old weekly tasks. Good luck! Hoarding Studies - Help Find Answers! 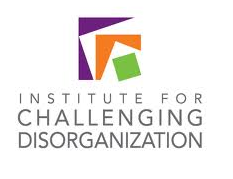 Many organizations are conducting studies to help find answers on hoarding. Most are anonymous and very safe. Just fill out some information about your hoarding problem, and help us all understand it better. It is impossible to find these answers without your help! Please post your case studies here and lets all figure out if there isn't an answer out there somewhere to explain the hoarding disorder. There are always TV shows looking for people interested in having their homes cleaned for free. These TV shows can post here. Help us learn about your fears. What things prevent you from discarding an object or many objects. Your answers really do shed some light on the psychology behind hoarding and can help people better understand how you feel. We always love to hear success stories from people that have been able to manage their hoarding or clutter problems. If you have one, please share and help motivate others! In this board, lets bring up some safety concerns related to hoarding and how to remove them when possible.